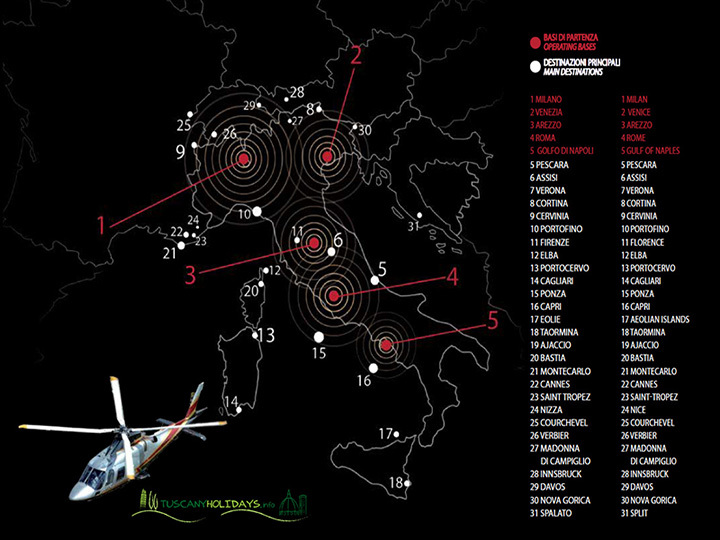 Bases located throughout Italy allow to reach major cities and places of interest or Italian airports very quickly, thus offering a prompt solution to any flight request. Helitaxi Service Tuscany and Italy provides helicopter transfers TO and FROM a whole range of destination every single day of the year, with competence and professionalism. Please contact us for customized services.